API Quick-Change Bulkhead Motor Retainers for Minimum Diameter Rockets offer fast, clean, tape-free and tool-free motor change. API Quick-Change Motor Retainers offer fast, tool-free motor change and add professional quality to your rocket. 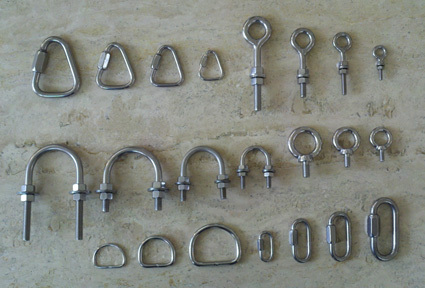 Retainer bodies and caps are available separately. API Quick-Change Tailcone Motor Retainers offer the same fast, tool-free motor changes to your rocket that our regular motor retainers do, just with the flair of an aerodynamic tailcone assembly. Retainer bodies and cones are available separately as well. API Quick-Change Motor Adapters offer the same high quality and ease of use found in our line of Quick-Change Motor Retainers. 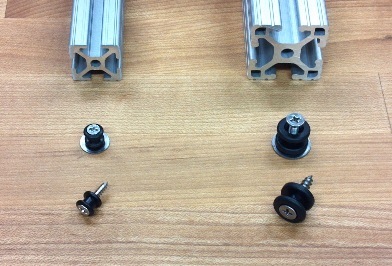 Delrin rail guides with rounded edges and countersunk screw heads. 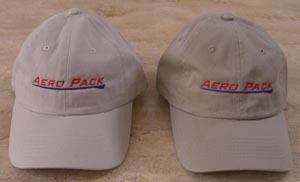 Aero Pack apparel includes embroidered base ball caps, embroidered sun hats, printed t-shirts and embroidered polo shirts. Our Recovery Hardware is made from chemically cleaned and polished stainless steel. Our high quality swivels feature stainless steel ball-bearings that roll with ease and won’t bind. They also have welded stainless steel rings. Our precision laser engraving service personalizes your Aero Pack retainer caps. Engrave your name and NAR/TRA number or other text. Available for black anodized retainer caps and tailcones. Not available for non-anodized aluminum finish tailcones. Recommended for use with all our retainers. High quality 2 color vinyl stickers 1 1/2" x 5 1/2".